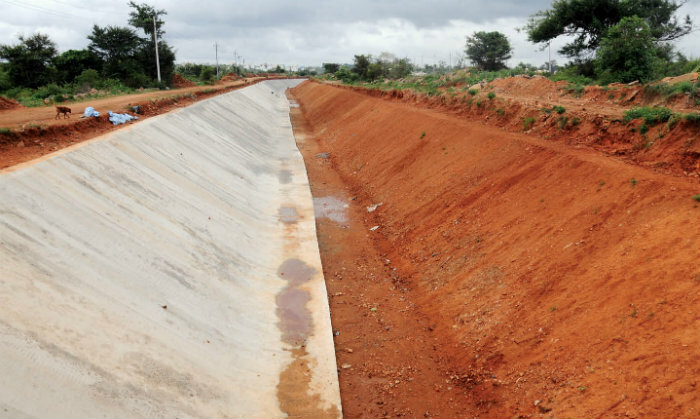 Mysuru: Repair works of Varuna Canal that feeds water to four taluks of Mysuru district and one taluk of Mandya district, has brought a lot of hope among farmers in the region. The Varuna Canal, built in 1979, irrigates farmlands in 82 villages covering the five taluks. But with the passage of time, the canal breached and leaked at several points along its length which resulted in water not reaching the tail-end. Water was sopped midway due to leaks and farmers at the fag end of the canal were deprived of the lifeline. Now, the repair works of the canal taken up at a cost of Rs. 75 crore will be executed in three stages. 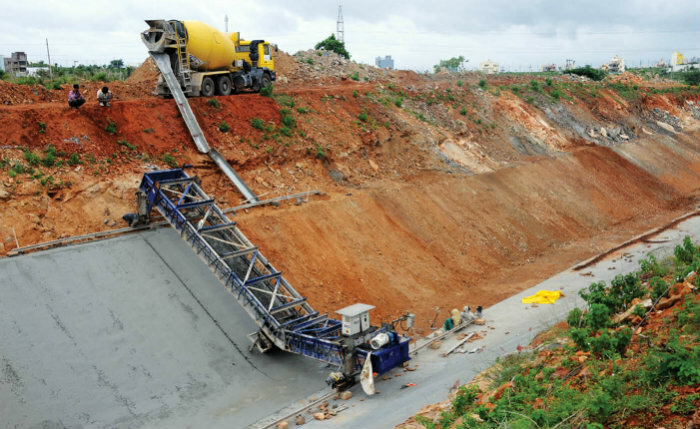 While the first stage of works covers from the starting point of the canal, that is, Krishna Raja Sagar (KRS) Dam up to 25 km, the second stage from 25 km to 45 km and the third stage from 49 km to 75 km. The works between 45 km and 48 km has been left out of the project as the canal is in good shape at this stretch. The Cauvery Neeravari Nigam Limited has taken up the responsibility of the execution of works. While the estimated cost of the first stage of works is Rs. 21 crore, the cost of second stage work is Rs. 21 crore and the third stage Rs. 24.8 crore. The contract of the works has been awarded in three packages. With the works going on in full swing, Varuna Canal Sub-Division Assistant Executive Engineer (AEE) D. Kumaraswamy says that all the spots where water is leaking have been identified and has 60 percent of repair works has been completed till now. Pointing out that the 25th km of the canal comes close to Rammanahalli village in the taluk, he said that the 25-km to 45-km stretch of the canal runs from Rammanahalli to Madapura and 49-km to 75-km stretch from Hosahundi to Doddakatur. 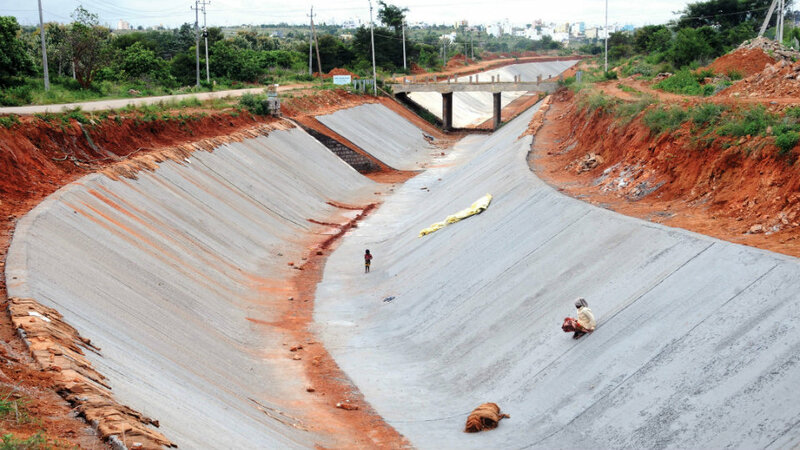 Stating that the total length of Varuna Canal is 126 kms, the AEE said that the canal irrigates 32,375 hectares, including 3,056 hectares in Srirangapatna taluk, 18,235 hectares in Mysuru taluk, 3,085 hectares in T. Narasipur taluk and the rest in parts of Nanjangud and H.D. Kote taluks. The main feature of this 126-km-long canal is that it has three aqueducts at three points — one from KRS Dam to Belagola, the second across Mysuru-Bengaluru road at Siddalingapura and the third across Mysuru-Nanjangud Road at Gejjagalli. The construction of Varuna Canal began in 1979 when D. Devaraj Urs was the Chief Minister. As it was a dream project of Devaraj Urs, the Varuna Canal also came to be known as Devaraj Urs Canal. But the credit for expediting the canal works should go to former CM Siddharamaiah, who as Finance Minister earlier, allotted more funds for completing the project. The canal was formally inaugurated by the then Irrigation Minister H.K. Patil, who was a member of S.M. Krishna Cabinet. However, the canal met with some hurdles at the beginning, as farmers from Mandya district strongly resisted the canal, claiming that it would deprive them of KRS water. But after hectic negotiations, Devaraj Urs convinced Mandya farmers and finally the works began in 1979. S.M. Krishna, who hailed from Mandya district and Industries Minister in Devaraj Urs Cabinet, had quit his post in protest against the Varuna Canal project. However, it was ironical that the canal was formally inaugurated by H.K. Patil, who was Irrigation Minister when S.M. Krishna was the CM, about 18 years ago. The article did not say when the water will be released into the varuna canal.